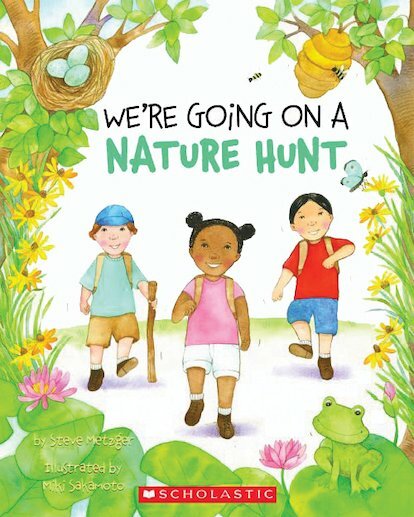 Follow three kids as they hike off on a nature hunt – paddling through ponds, digging through mud and climbing up trees! Fans of We’re Going on a Bear Hunt won’t be able to resist this playful springtime tribute to Michael Rosen’s beloved rhyme. As these young adventurers frolic in flowery meadows and splash in the lily pond, they discover all kinds of outdoor surprises – frogs, worms and much more! Fresh and jaunty rhymes full of repetitive words and phrases invite children to chime in as the story is read aloud.